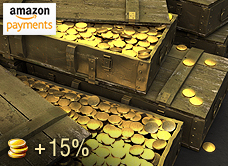 Those who use Amazon Payments in the Premium Shop can gain access to three new Gold bundles available for a limited time. 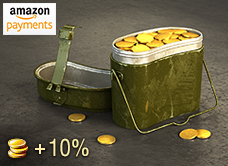 Available for US residents only, using your Amazon account to make this purchase will give you access to these Gold bundles, each one coming with extra Gold as a bonus value! 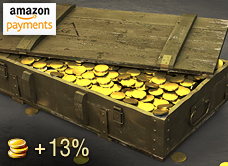 Since purchased Gold is linked to your Wargaming.net ID, you can use it for both World of Tanks and World of Warplanes. Not sure how to make a Premum Shop purchase using your Amazon account? Check out this handy guide.